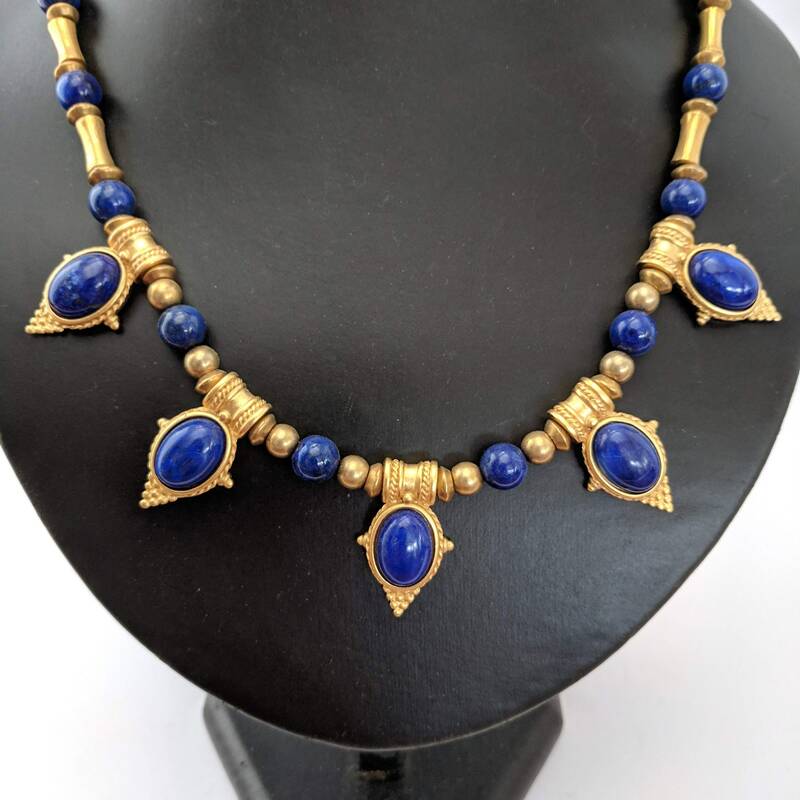 A stunning lapis lazuli Egyptian Revival necklace. 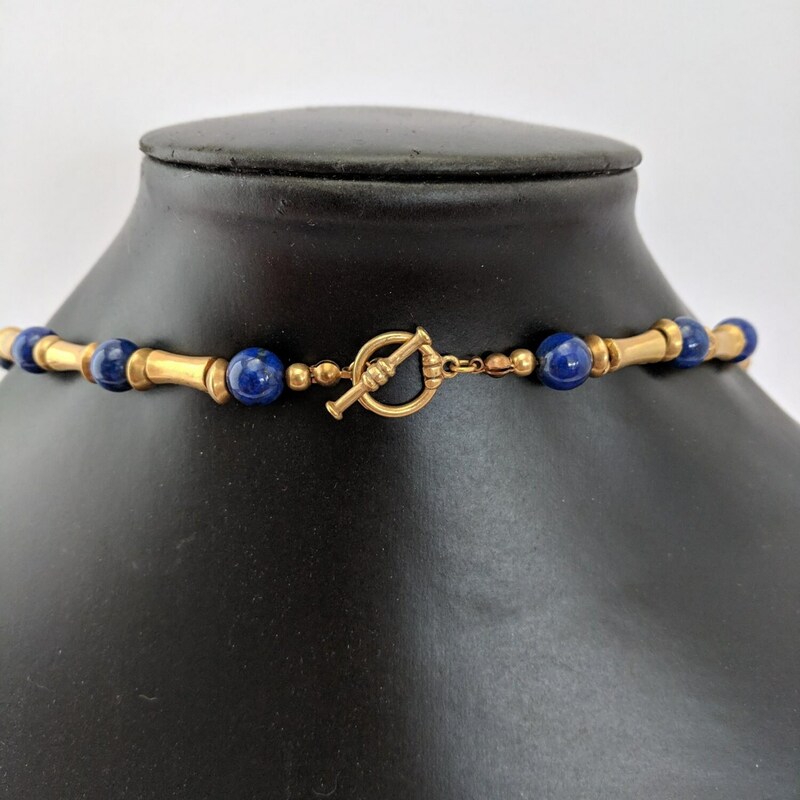 The beads are 8mm and cabochons measure approx. 15mm High x 10mm. 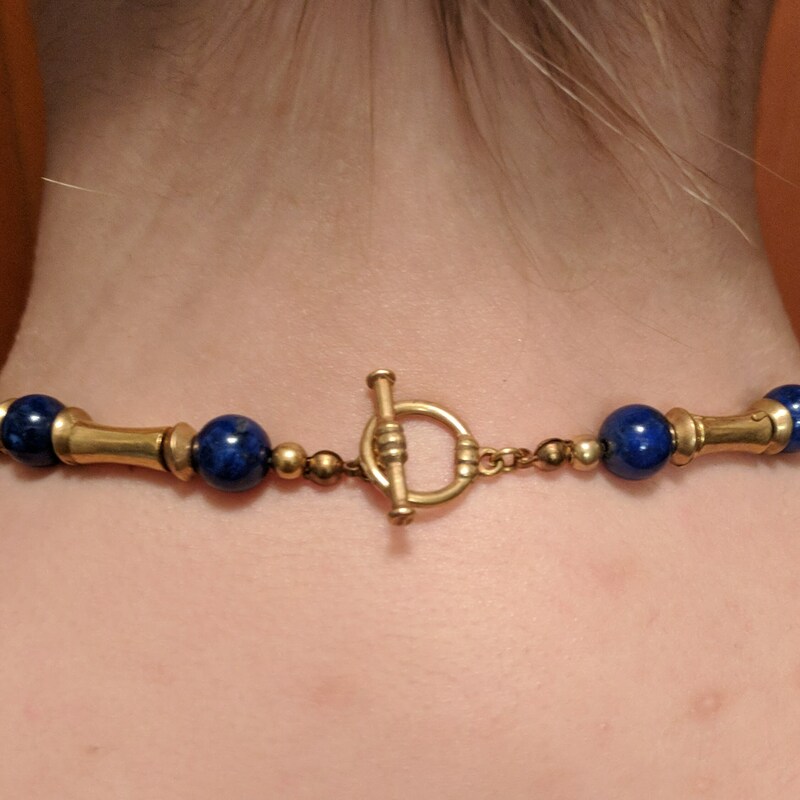 Matching earrings are listed separately (last picture). 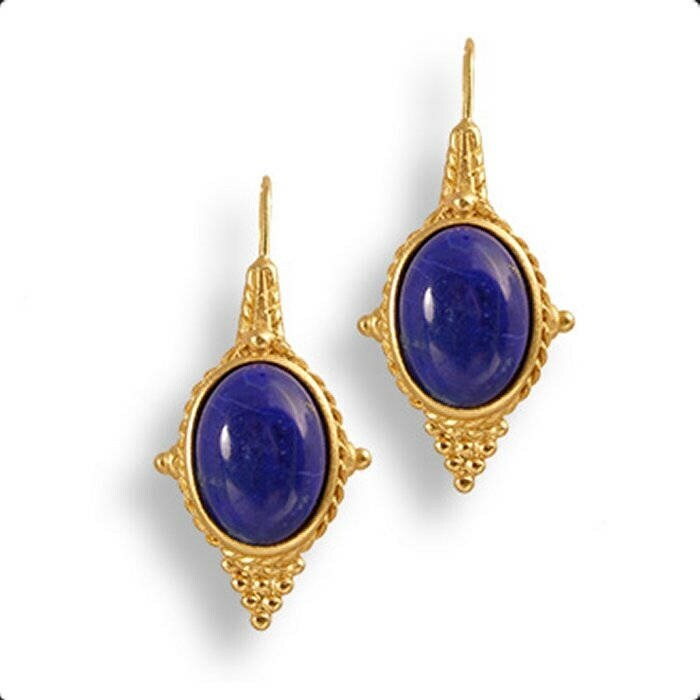 Adaptation of ancient jewelry became very popular in Europe in the mid 19th century. 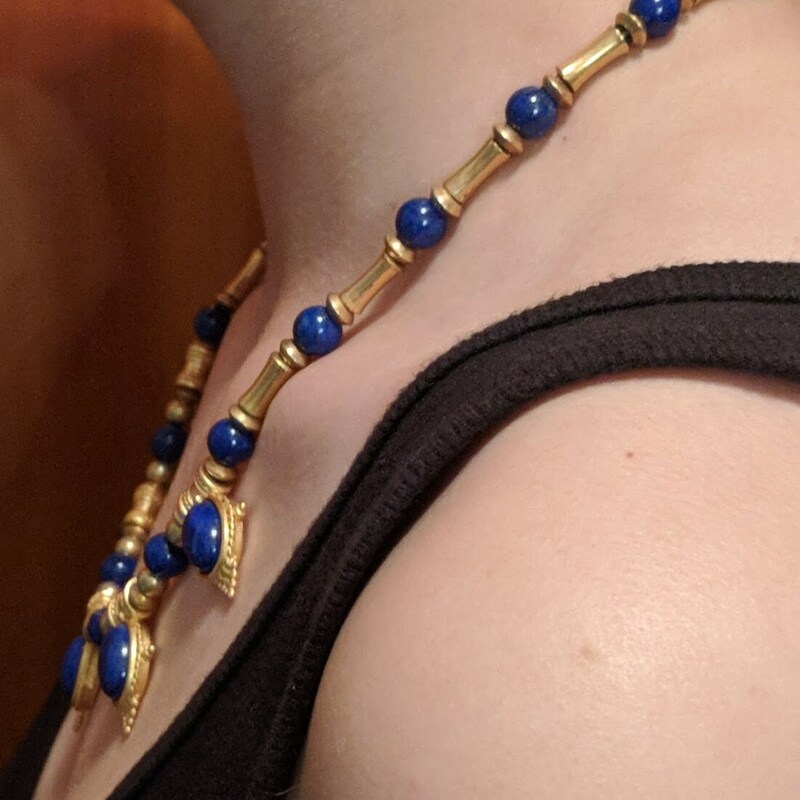 The Castellani workshop in Naples, which Henry Walters visited in the early 20th century, was famous for this style of jewelry. 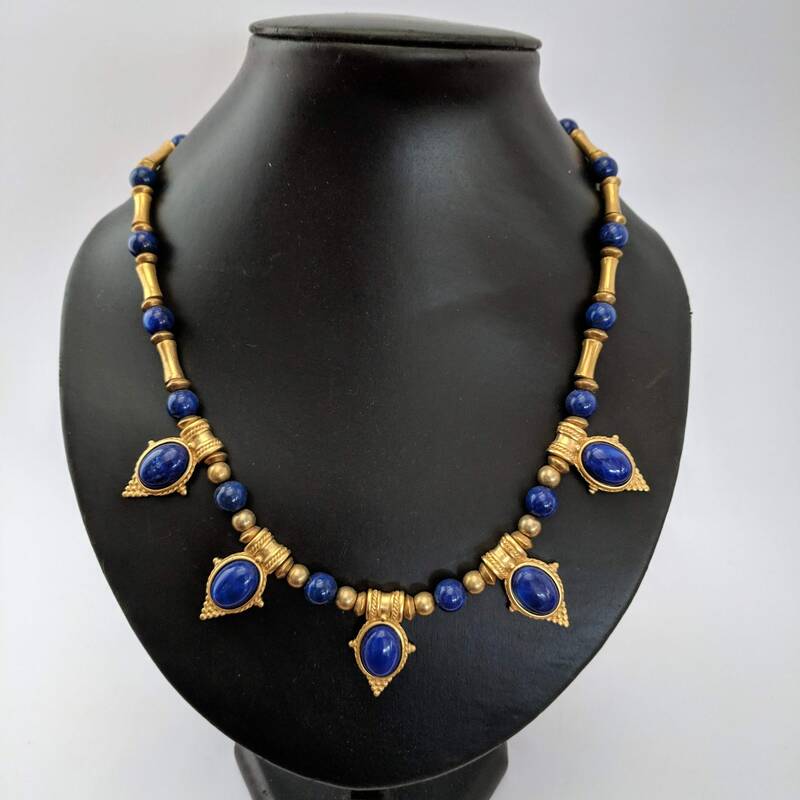 Our Egyptian Revival collection, featuring real lapis cabochons and beads, is inspired by a necklace that was made in the Castellani workshop. 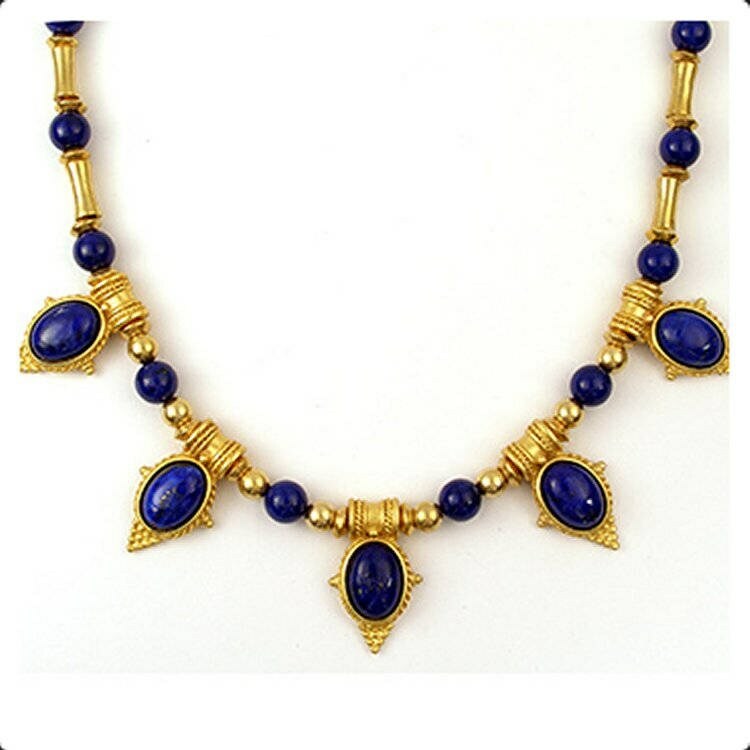 In ancient Egypt, lapis was highly regarded as a stone of celestial origin and as a symbol for truth. 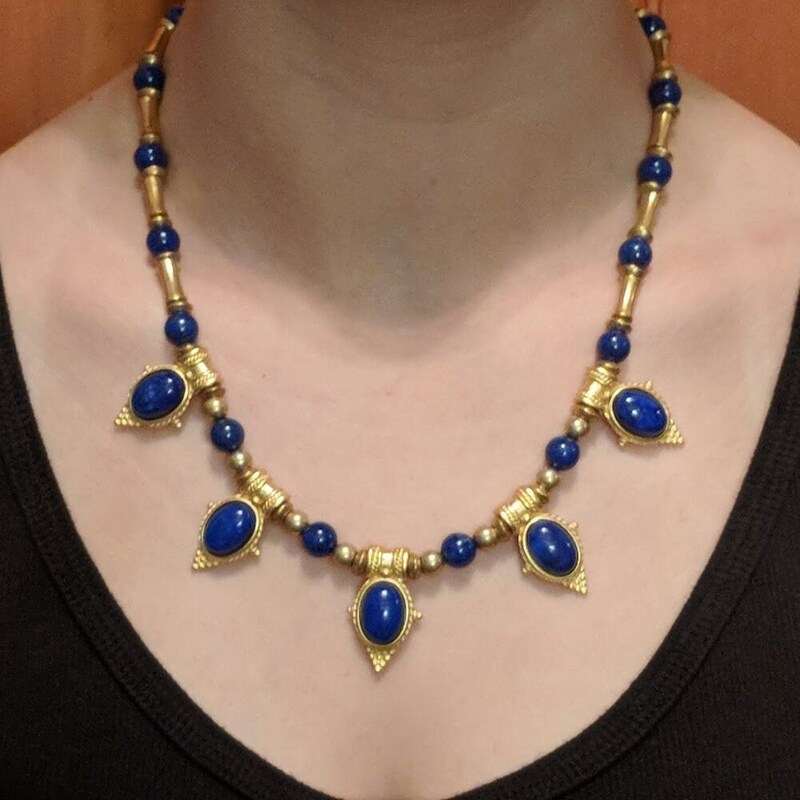 The original necklace was made of gold with carved scarab gemstone cabochons.